Father’s are often underappreciated. We probably gravitate towards our mother’s for more help or when we’re in trouble. But in so many cases it’s the fathers that are the rock that holds everything together. 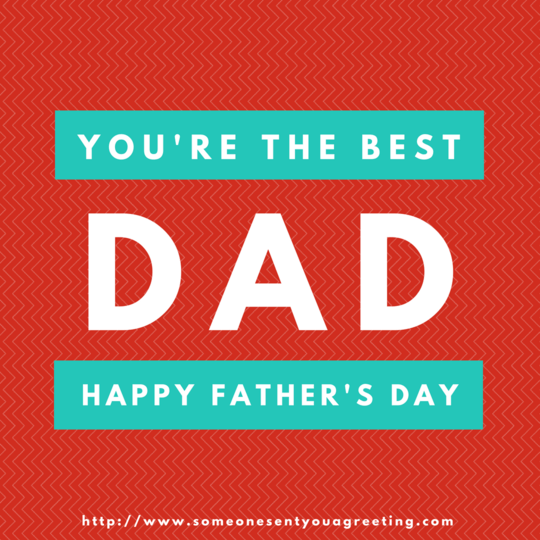 So wishing your dad a Happy Father’s Day, maybe giving him a gift and card, is the least you can do to show your appreciation for such an important person in your life.